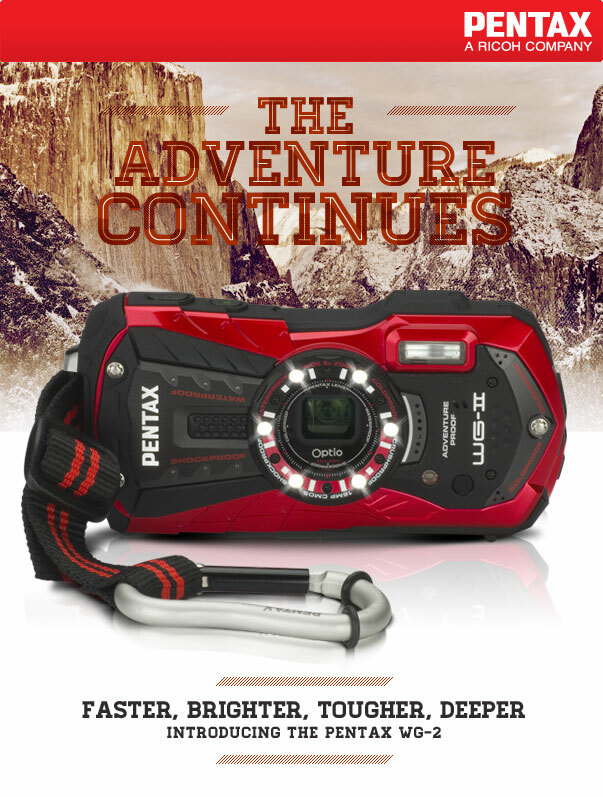 The toughest PENTAX outdoor camera yet, the new WG-2 is more resilient, more advanced and ready for any adventure. It's now waterproof to 40 feet, shockproof from 5 feet and cold-proof to 14°. Take your adventures to new heights - and new lows - with the PENTAX WG-2. The Optio WG-2 and Optio WG-2 GPS are equipped with a new back-illuminated CMOS image sensor that offers lower noise even when camera is set to higher sensitivities. With sensitivity as high as ISO 6400 and 16.0 effective megapixels, this image sensor delivers super high-resolution images. A new imaging engine also applies the latest super-resolution technology to image processing operations to further ensure sharp, clear, high-resolution images. These models also feature a new Handheld Night Snap mode, which captures four images of the same scene, then automatically produces a single blur-free, composite image. The Optio WG-2 and Optio WG-2 GPS now offer Full 1080p HD movie recording function in h.264 recording format for high-quality, extended movie clips (1920 x 1080 pixels) at a frame rate of 30 frames per second. The cameras feature a high-speed camera function* for slow-motion playback of captured movie clips and an interval movie function to simplify advanced movie-recording techniques. A micro-HDMI terminal (Type D) on the camera body allows output of Full HD movie clips and sound to external devices. 1) An improved GPS module that shortens the time lag before the start of GPS operation which greatly extends the operating life. 2) The module also allows users to record position data when shooting still images and take advantage of various GPS-compatible applications and services provided by the included software* and such Web sites as Google Maps™. 3) The module corrects the built-in clock automatically to match local time of a particular shooting location. 4) The module automatically creates log data and stores it as a KML-format file onto an SD memory card. This log feature helps users keep accurate track of the movement during outdoor shooting, and display it later on the computer using various online services such as Google Earth™. 5) Overall improvements to speed, accuracy, and battery life when GPS receiver is active. * This function is available with the Windows version only. 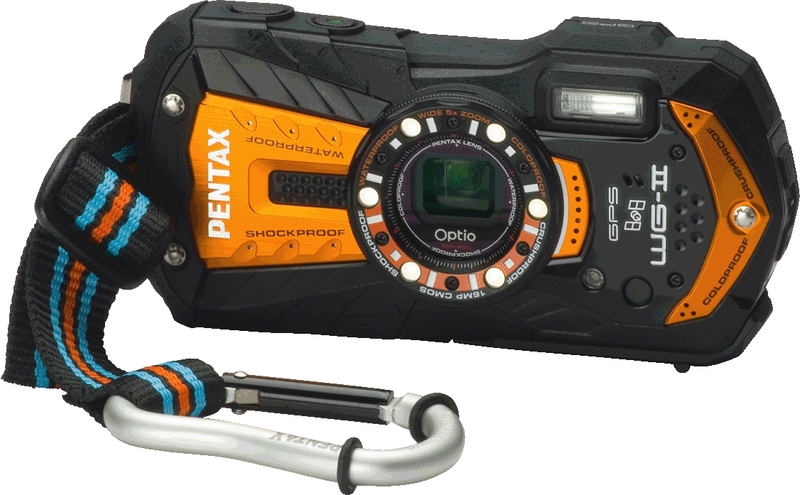 PENTAX upgraded the Optio WG-2 and Optio WG-2 GPS’s underwater performance in depths up to 40 feet (from 30 feet) for up to two hours of continuous operation (equivalent to IPX8 or JIS Class 8 waterproof performance). The new cameras also are designed to be highly shockproof, * dustproof,** coldproof, ***, and crushproof. **** Together, these features make the Optio WG-2 and Optio WG-2 GPS dependable, heavy-duty imaging partners in harsh, demanding shooting conditions. **** Measured under PENTAX-original testing standards, by which camera is put on with weights up to 100 kgf or kilogram-force (220 LbF or Pound Force) to show the stable operations. PENTAX added an additional LED light to the new WG-2 models. By positioning six LED Macro Lights (compared with five) around the circumference of the lens barrel for macro shooting, the new models offer brighter, more uniform illumination on the subject when the Digital Microscope mode is selected. * With the Macro Lights, users may clearly see a magnified view of the microscopic world often unnoticeable with the naked eye on the camera’s LCD monitor and effortlessly capture eye-catching images. The function increases the illumination level of the LED Macro Lights at the moment of shutter release. The function is also upgraded to allow for the use of a higher shutter speed to minimize camera shake and subject movement. The Macro Lights can provide other user-friendly non-macro features, such as a Self-Portrait Assist mode which illuminates the macro lights when the camera detects a face within the frame; and a new LED lighting mode that illuminates the Macro Lights using them as a makeshift flashlight in the dark. Each new Optio WG-2 and Optio Wg-2 GPS features an extra-large, high-resolution 3.0 inch LCD monitor with wide 16:9 aspect ratio and approximately 460,000 dots of resolution. An Anti-Reflection (AR) coating minimizes annoying glare and reflections to assure a sharp, clear on-screen images even under harsh sunlight, while its wide-view design offers a clear view of the monitor from approximately 170 degrees horizontally and vertically, making it particularly useful in low and high angle shooting. The new Optio WG2 and Optio WG-2 GPS feature a high-performance 5X optical zoom lens covering focal lengths from 5mm to 25mm (equivalent to approx. 28mm wide angle to 140mm telephoto in the 35mm format). This versatile zoom lens captures beautiful images of a wide range of subjects and scenes from spectacular landscapes to family/group shots in a confined space. With the camera’s Intelligent Zoom function, users may further extend the zoom range to approximately 36 times to cover the focal length of an approximately 1008mm super-telephoto lens (in the 35mm format) to capture extra-high-magnification images without compromising image quality. When recording still images, this shake-reduction mechanism effectively compensates for camera shake by digitally processing affected images. When the cameras detect low-lighting conditions in still-image shooting, sensitivity automatically rises to as high as ISO 6400 making it possible to use a higher shutter speed to effectively minimize the adverse effects of camera shake and subject motion under poor lighting conditions. During movie recording, this digital shake-reduction mode effectively compensates for camera shake to produce beautiful, blur-free movie clips. * When the Movie SR mode is selected, the angle of view becomes narrower than normal shooting. • SportMount Chest Harness will be available as an optional accessory to shoot your adventure video from your perspective. Google, Google Earth, Google map, and logo are either registered trademarks or trademarks of Google Inc.
DENVER, CO. (February 7, 2012)…PENTAX RICOH IMAGING AMERICAS CORPORATION just pushed the PENTAX WG adventure camera series to the edge for the 13th time with the introduction of the PENTAX Optio WG-2 and PENTAX Optio WG-2 GPS digital compact cameras. These rugged, waterproof, dustproof and shock-resistant models feature more durability than ever before as well as improved image quality in high-sensitivity shooting and Full 1080p HD movie recording capability. The Optio WG camera family is ready for adventure in any outdoor setting. Foremost in the latest models’ feature set is a new back-illuminated 16 megapixel CMOS image sensor and powerful imaging engine that perform superbly in high-sensitivity settings such as night shooting or in poorly illuminated indoor settings. The WG-2 models deliver clear, sharp images with less noise than previous models. • High-resolution Full HD 1080p movie recording (1920 x 1080 pixels) at 30 FPS with high quality h.264 compression. • Waterproof to depths of 40 feet. • Digital Microscope mode with one additional macro LED (total of six lights) for excellent macro lighting of subjects as close as 1 cm. • A newly designed GPS module that delivers a shorter time lag before GPS start-up and longer battery life during GPS activation. • A new optional SportMount Chest Harness that straps-on the WG-2 for hands-free HD movie capture of every exciting moment of adventure on land, sea or in the air. • Shockproof design protects camera drop up to 5 feet. • Crushproof construction withstands weights up to 220 LBF (pound-force). • Dustproof design protects the camera from dry, dusty environments. • Large 3 inch LCD features HVGA resolution (460,000 dots) and anti-reflective coating on its protective cover. • Hardened cover with SP coating protects internal lens elements. • An HDMI port (Micro, Type-D) plays back beautiful, high definition images and video on HDTVs. 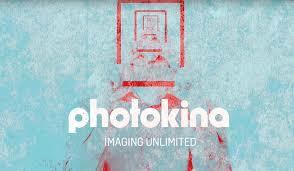 • Pixel Track, Digital, and Movie Shake Reduction ensure sharp, blur-free images and video. 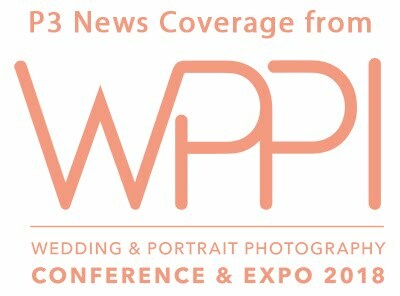 • Fast Face Detection technology including Smile Capture and Blink Detection to capture perfect portraits. • A Handheld Night Snap mode produces a single blur-free, composite image from four images of the same scene. • An autofocus assist lamp helps to quickly and accurately focus. • Extended dynamic range helps bring out extra highlight and shadow detail. • PENTAX infrared remote control compatibility for remote shooting. • GPS and non-GPS versions are available in several new stylish color options.